From left are Professor Hoi Ri Moon in the School of Natural Science and Professor Kyunghan Lee in the School of Electrical and Computer Engineering at UNIST. Two of UNIST faculty members have been selected to receive the commendation from the Ministry of Education for research excellence. On November 13, the Korean Ministry of Education and the National Research Foundation of Korea jointly held the 2018 Ministry of Education’s Seminar on Academic and Research Support Projects. There, they had 41 research projects selected as excellent results of the 2018 Academic and Research Support Projects. The works considered for the honor also included the ones by Professor Hoi Ri Moon in the School of Natural Science and Professor Kyunghan Lee in the School of Electrical and Computer Engineering at UNIST. Professor Hoi Ri Moon has been selected to receive the commendation from the Ministry of Education in recognition of her recent research project on the development of a novel deuterium separation method, using a special class of metal organic frameworks (MOFs) whose pore dimensions change upon gas adsorption. Flexible metal-organic frameworks (MOFs) are unique class of materials that exhibit dynamic change of pore aperture, triggered by external stimuli. In this work, Professor Moon and her research team proposed a new chemical synthesis method to create various MOFs and use them to separate isotopes, such as hydrogen and deuterium. Although it exists only in a small amount in the natural world, it is attracting attention as a technology for effectively separating deuterium, which is industrially valuable. Professor Hoi Ri Moon and her research team in the School of Natural Science at UNIST. 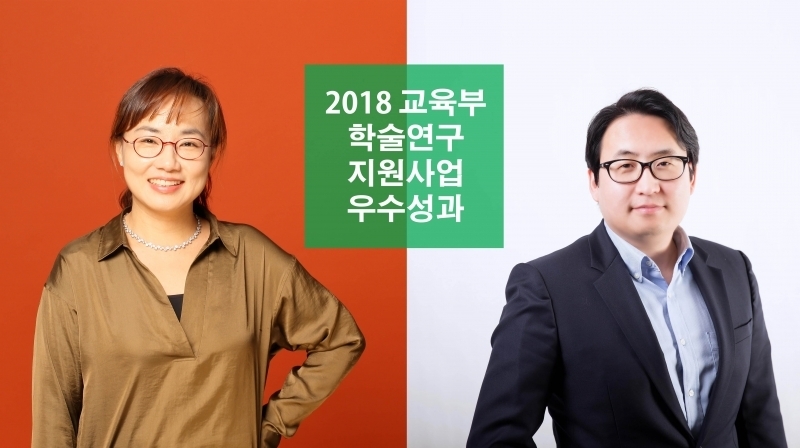 Professo Lee’s research team, consisting of EuiJin Jeong and Jae Min Cho, has been selected to receive the commendation from the Ministry of Education in recognition of their recent breakthrough research on ‘Context-aware application scheduling (CAS) technology for mobile power optimization’. This study suggests a noble way to efficiently use smartphone by restricting background behavior of mobile applications. Professor Lee’s program has been evaluated as a technology that can save more than 30% of power without inconvenience to the user by classifying user’s smartphone usage pattern and optimizing background application through it.